Fishing has been fair to good this past week, although most of our boats are now put away for the winter we are still operating fishing charters out of Mission and Harrison Hot Springs. Our Jet boat tours are focusing on Eagle Tours as we are having a record year for Harrison River Eagle migration. We are operating two twin engine jet boats with a capacity of 20 passengers so we can accommodate single passengers to larger corporate or family groups. We offer up to 3 charters a day, please call the office for times. The weather for the next week looks great for both Fishing and Eagle watching. The cost for Eagle watching tours is $69 per person for 1 ½ hour tour, guided fishing charters are available in 4,6 or 8 hour increments. You can send us an e-mail or call the office directly at 604-316-9798 or call Vic at 604-671-3474. December is a busy month for everyone and that includes our office staff. Tom, Tony, Frank and Vic are busy getting ready for the 2019 season which is also STS Guidings 25th year in business. It’s going to be a great year and we really look forward to celebrating this great achievement with our long time loyal clients and our new guests who come join us this season. 25th Anniversary Specials will be posted during the holidays so you can take advantage of some great savings if you plan to fish with us in 2019, We are also working on a Finns & Skins Fishing/Golf Tournament as well as a Sturgeon Derby for our 2019 guests, we will also be offering out some special 25th anniversary swag that should be very cool. Facebook Christmas Special – Book any salmon or sturgeon charter between Dec 1 -24th ( trip can be taken ANYTIME IN 2019 SEASON) and receive a FREE STS HOODIE VALUED AT $75. Fraser River Jet Boat Seminar – 2019 dates have been released, March 23 or March 24. This is 240km round trip from Hope to Hells Gate with Vic Carrao of STS Guiding. Vic will talk about everything to do with jet boats, reading water, how to run shallow water, big water and run rapids up in the Fraser Canyon. 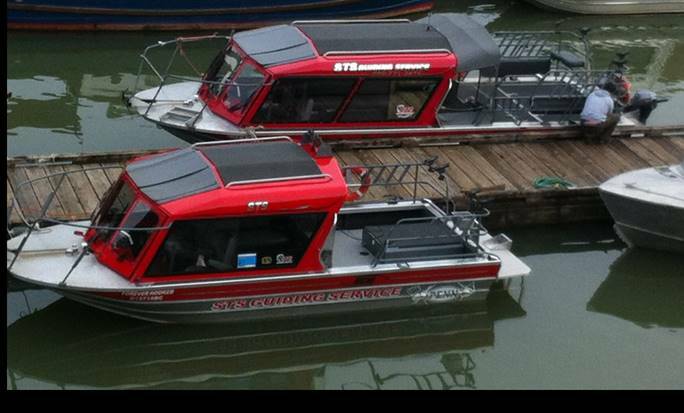 We will also cover jet boat care and maintenance as well as engine/pump configuration and much more. This seminar is suitable for anyone who runs a boat or plans on purchasing a boat for the Fraser or any other river in the next year or two. Dates – March 23 or 24. All seminars have SOLD OUT in previous years. 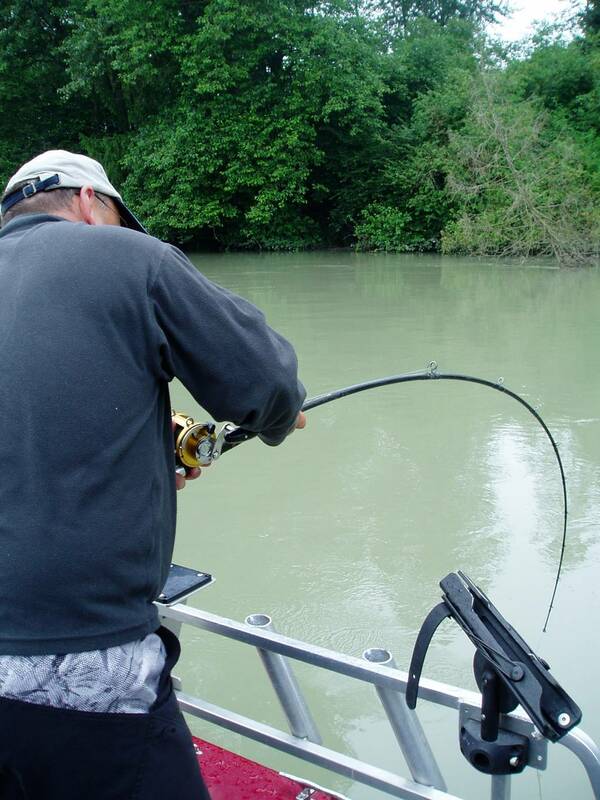 Fraser River Sturgeon Seminar – This seminar is a 6 hour trip on the Fraser River fishing with long time Fraser River Guide Doug Elias. Doug has been guiding for sturgeon on the Fraser with STS for the past 14 years. This seminar will cover everything you need to know about Sturgeon fishing, Sturgeon handling and Sturgeon conservation. Doug will talk about the How’s, When and Where, bait preparation and much more. 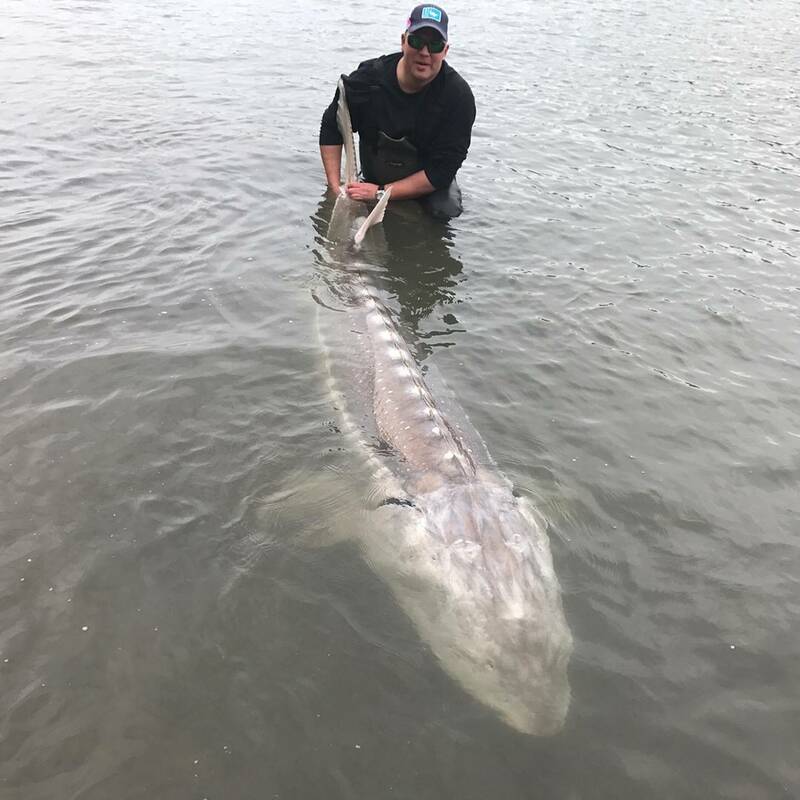 Also Doug is a volunteer with the Fraser River Sturgeon Conservation Society so you will also get to help with the scanning and tagging of white sturgeon. Max seats – 5 per trip. Dates and Details for our 2019 Finns & Skins Tournament and Sturgeon Derby will be released shortly, feel free to e-mail us if you are interested in joining us for our 25th season celebration. Previous PostBlack Friday One Day SaleNext Post25th Anniversary Sturgeon Derby.